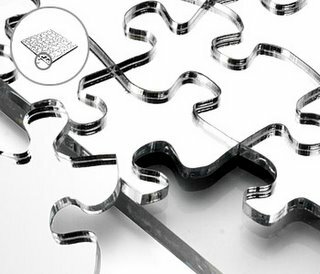 A neat twist on the standard puzzle, the Mirror Puzzle is just that, a jigsaw puzzle made out of a mirror. Whatever happens to be reflecting in the mirror is the puzzle. Definitely more difficult than a standard puzzle, but also way cooler! Designed by Tobias Wong and made in New York, it comes with a Lucite top and base. You can pick one up at Uncommon Goods for $200.